SlammedUK is a growing name in the automotive-based lifestyle and clothing arena. Started by self-confessed petrolhead Jordan Clarke, SlammedUK started out as a few local car meets and has now expanded into a significant enterprise, with members from all over the world. For people who like to combine custom-car passion with their sense of fashion, SlammedUK is arguably the scene to get in on. Sunday 1st of November saw the car show season draw to a close with Ultimate Stance hosted at the Telford International Centre. Sponsored by Auto Finesse, a well-known British manufactured car care brand, Ultimate Stance is a car show and swap meet on a grand scale. SlammedUK had a stand there, giving enthusiasts the opportunity to meet the crew and purchase some of their branded street-wear. Of course, no automotive-based stand is complete without cars and on this occasion one of those destined for the stand was a black 1-Series BMW. However, the car in question was definitely not in ‘show ready’ condition. So Jordan Clarke contacted UF to see if we could help. 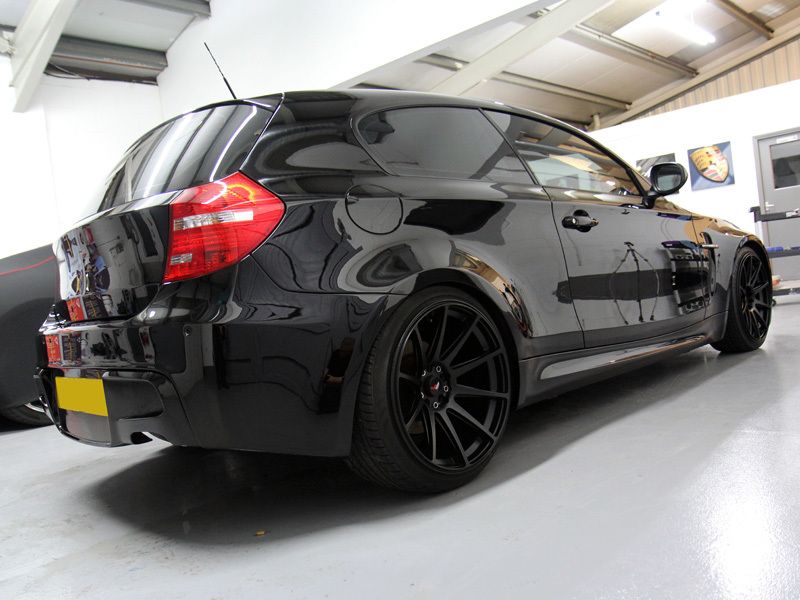 The 1-Series BMW was brought to UF’s Brands Hatch based detailing studio late on Thursday evening, ready for an early start Friday morning. As the car had been driven down from the Midlands it was quite dirty, having collected a considerable amount of road debris along the way. Before any work could be carried the first step was to remove the various stickers from the vehicle. To do this a plastic razor blade was used. 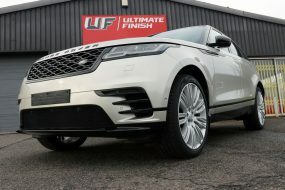 Ultimate Stance is sponsored by Auto Finesse and it therefore seemed appropriate to use their products for the detail. The next stage was to remove iron contamination from the wheels and bodywork so Iron Out Contaminant Remover was applied. This product changes colour on contact with ferrous particles, usually derived from brake pads shredding when the brakes are applied. The hot particles bond quickly with the first surface they touch and left untreated can cause pitting in the substrate. 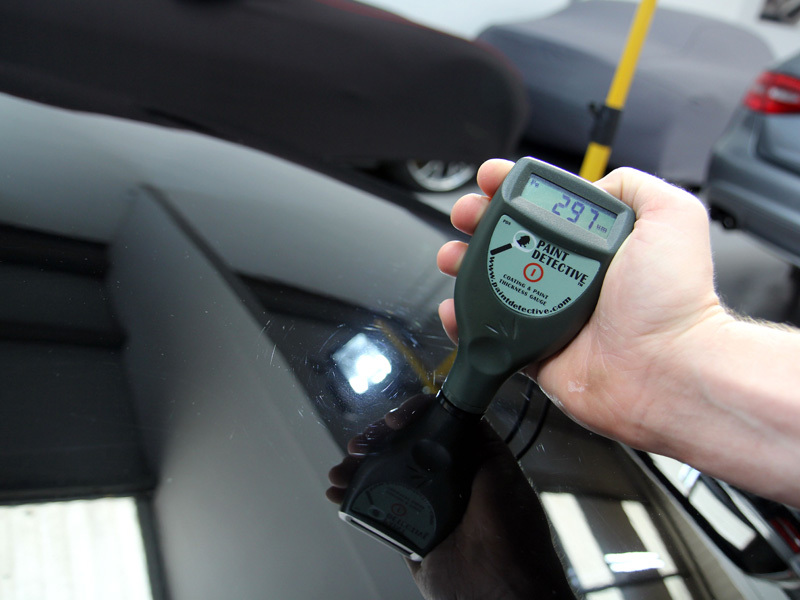 Iron Out shrinks the particles, causing the bond to break and allowing the contamination to be rinsed away, without the need for scrubbing at the paintwork or the wheel surface with a mitt. 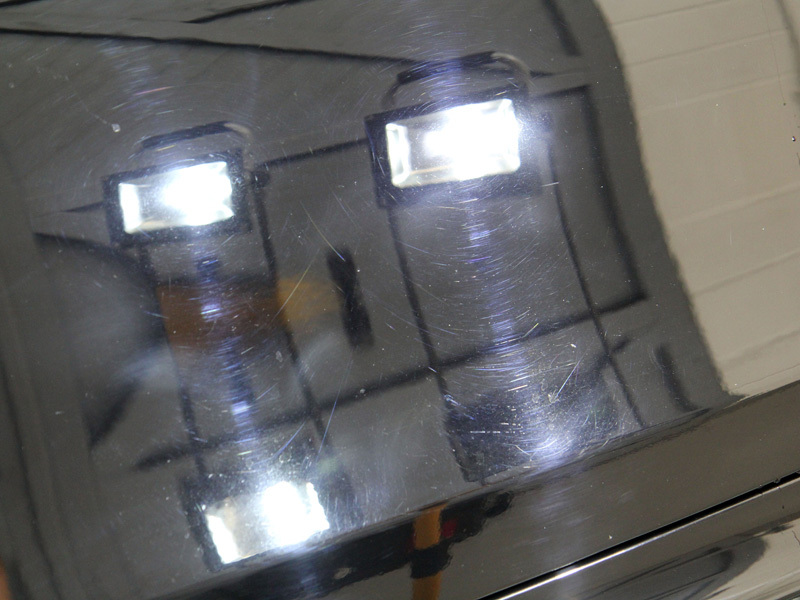 After rinsing, the car was then treated with Auto Finesse Obliterate Tar Remover. This product works to dissolve sticky contaminants such as tar and tree sap. It is also effective in the removal of glue residues left behind during the sticker removal process. Finally the car was degreased with Citrus Power, with particular attention paid to the boot, bonnet and doorjambs and around the catches that attract oily grime. 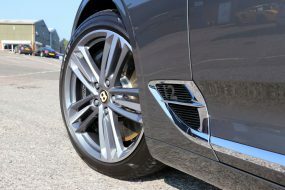 The wheels were washed using a UF Wheel Bucket & Scratch Shield, Auto Finesse Imperial Wheel Cleaner and Wheel Woolies. The car was then rinsed again before being pre-cleaned using Avalanche Snow Foam. This high foaming non-contact pre-wash loosens larger particles of dirt and grit and allows them to be freely rinsed away. 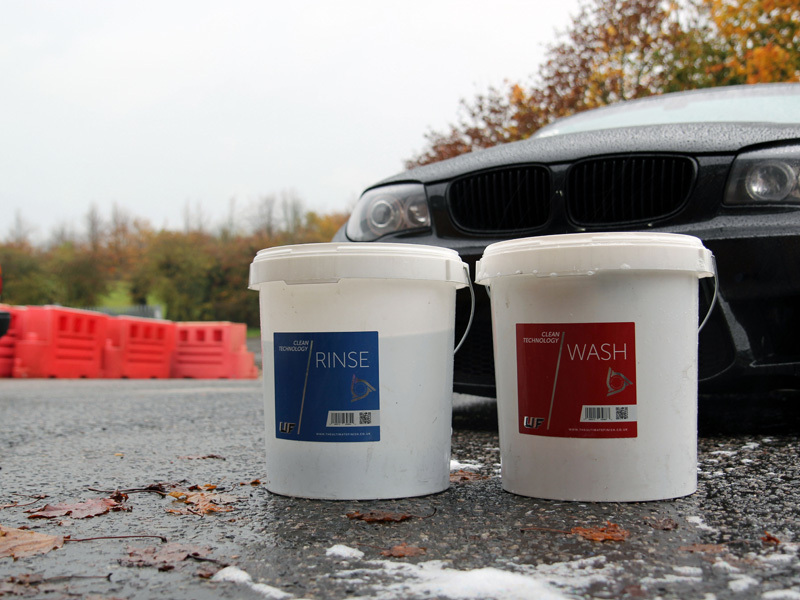 Thoroughly decontaminated, the 1-Series BMW was then washed using the Two Bucket Method, Auto Finesse Lather Shampoo and an Ulti-Mitt Double Sided Merino Wash Mitt. After rinsing, an Aqua Gleam De-ionising Water Filter was connected to the hose to give the car a final, pure water rinse. 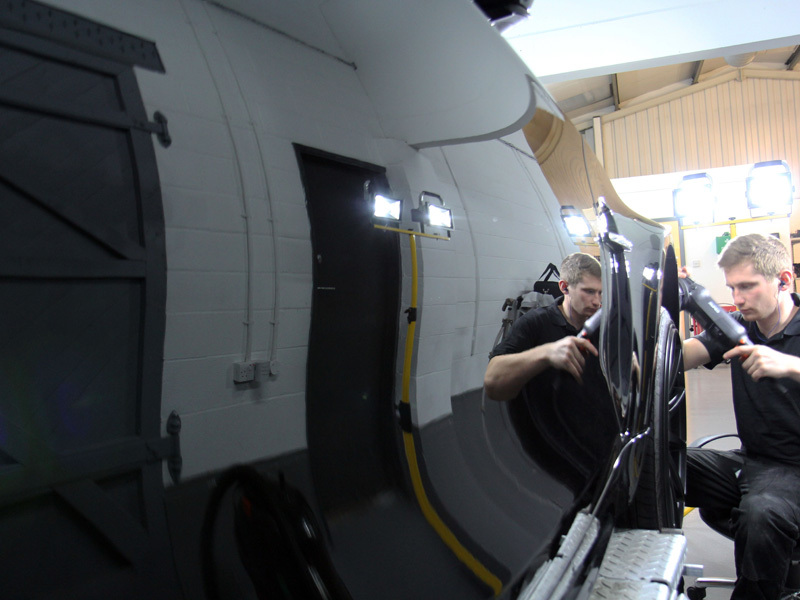 The car was then dried using an Aqua Deluxe Drying Towel and brought into the studio. An air blower was used to make sure that all remaining water was removed from the shuts and grilles. Multiple paint depth readings were taken over the panels. 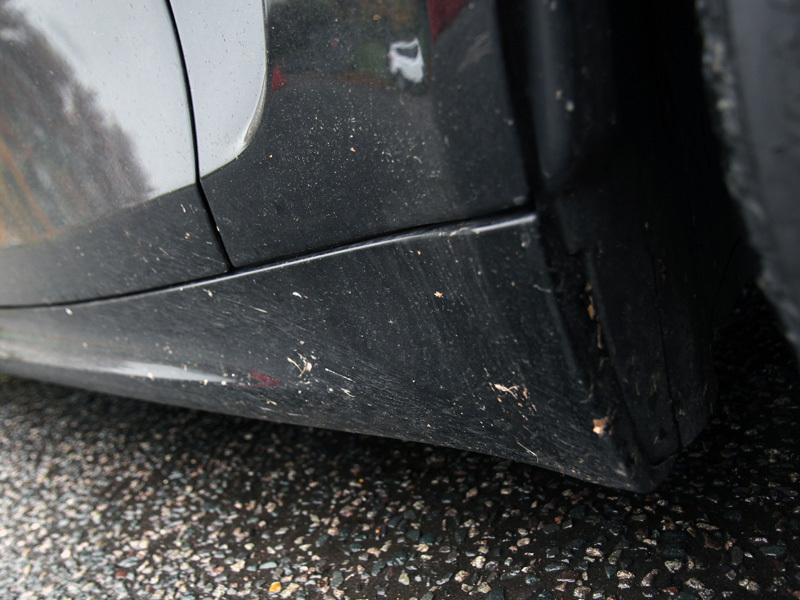 The owner of the car had said the car had been re-sprayed at some stage and this was confirmed by the thickness of the paint, measuring up to around three hundred microns in places. The car was inspected closely under high intensity lighting to gauge the level of damage. 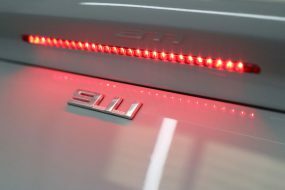 To correct the paint a 3M PERFECT-IT III Yellow Polishing Pad was used with SCHOLL Concepts S17 High Performance Compound. The diminishing abrasives allow for a more aggressive initial cutting stage, fining out to leave a glossy finish that’s easy to refine. 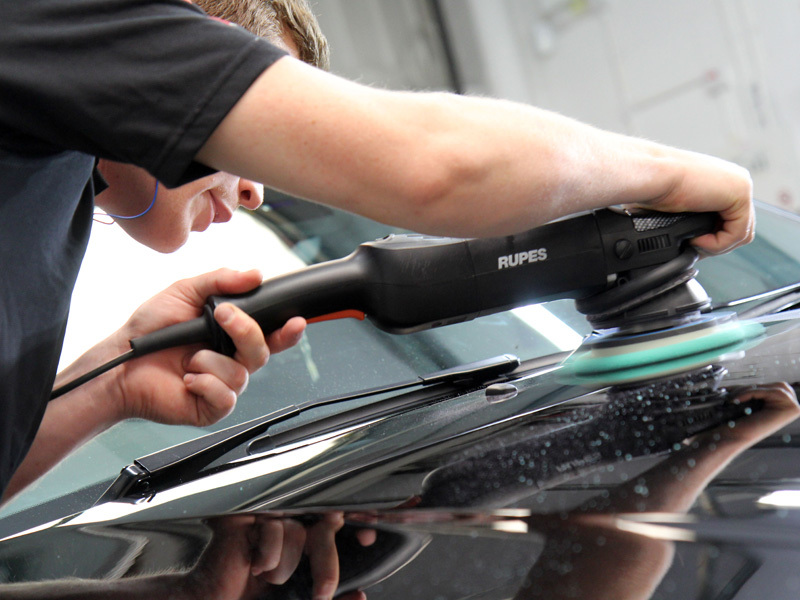 With the paintwork now ready for refining, the RUPES BigFoot LHR15ES was used with Auto Finesse Refining Compound on a RUPES Green Polishing Pad. The flat black paintwork was starting to look very impressive! 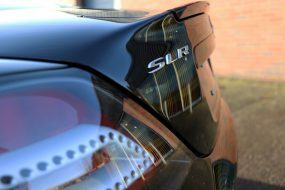 To protect the paint and to give it a gloriously deep, wet-look shine, Auto Finesse llusion was applied using a Waxmate Applicator Pad. These pads are ergonomically shaped to allow a better grip on the pad whilst the face of the pad fits neatly into the wax pot. 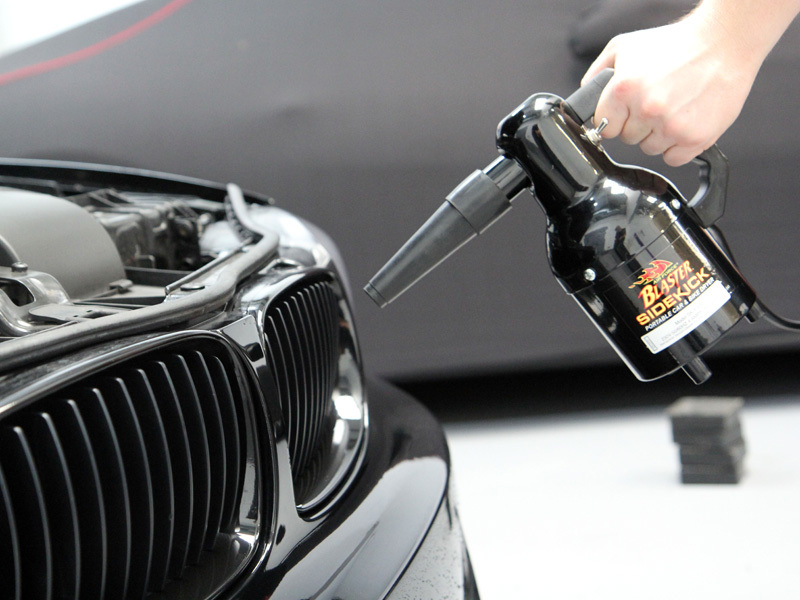 Enriched with pure Brazilian No.1 grade carnauba and essential oils, Auto Finesse calls Illusion it’s ‘show car wax’. 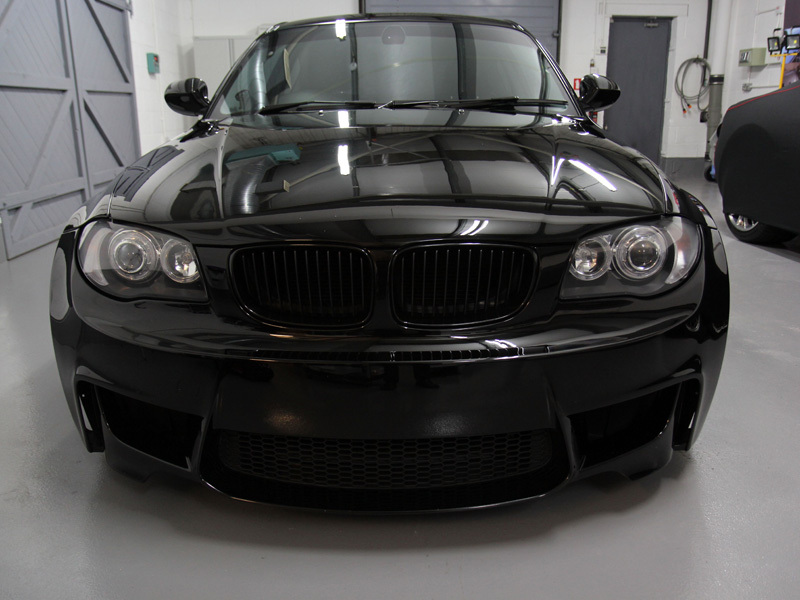 The slickness it adds to dark paintwork is absolutely stunning. In the meantime the interior was vacuumed and the glass cleaned with Crystal Glass Cleaner. The dashboard and door cards were detailed with Spritz Interior Detailer to remove dust, leaving a non-sticky, natural satin finish. The air vents and surrounds of the controls were cleaned with a Hog Hair Detailing Brush. The extra-long bristles allow them to reach further into hard to reach areas than standard detailing brushes. The wheels were given a layer of Mint Rims Wheel Sealant. This synthetic sealant provides heat resistant protection to wheels. 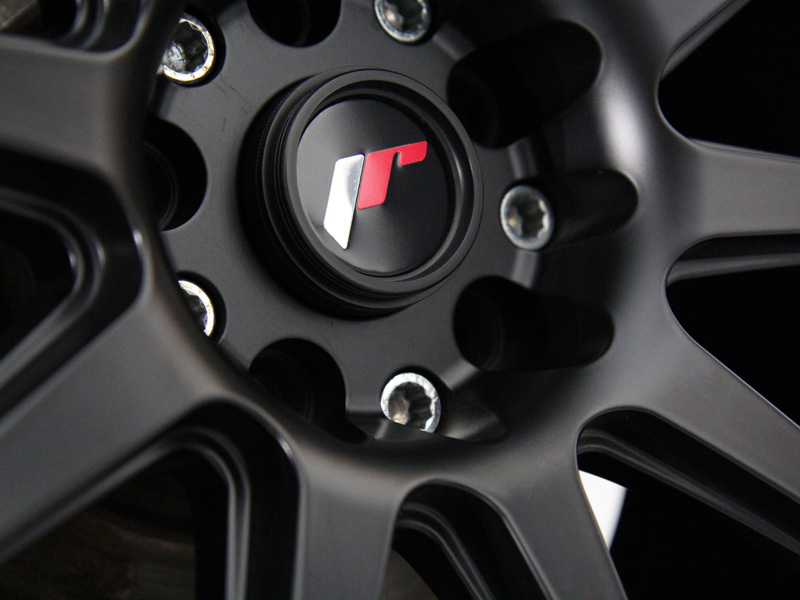 Hydrophobic, Mint Rims repels road grime, brake dust and dirt to give an easy to clean surface. When Jordan and the owner collected the car that evening they were amazed at the transformation. 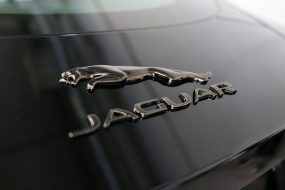 I knew the car was going to look good, but it almost looked like a new car. It was certainly impressive, even more so given the short time schedule we’d given UF to work on it. It’s going to do us proud on the day! – Jordan Clarke, SlammedUK.